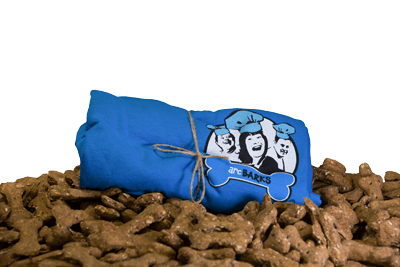 preservative-free dog treats made by chefs with special needs. Our dog treat company operates as a job training program founded by The Arc of Greensboro, Inc.
arcBARKS Dog Treat Company was conceived and developed by The Arc of Greensboro, Inc. to provide vocational training for individuals with intellectual and developmental disabilities. 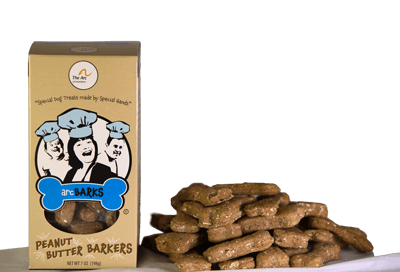 Our signature dog treat made with all natural ingredients by special hands at our bakery in Greensboro. 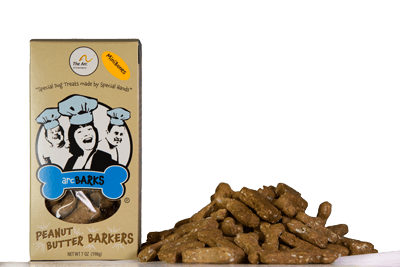 Made with the same ingredients as our classic Barkers, just smaller in size for your pups convenience. Support us by wearing our T-Shirt, featuring the stylish ArcBARKS logo and our slogan on the back.